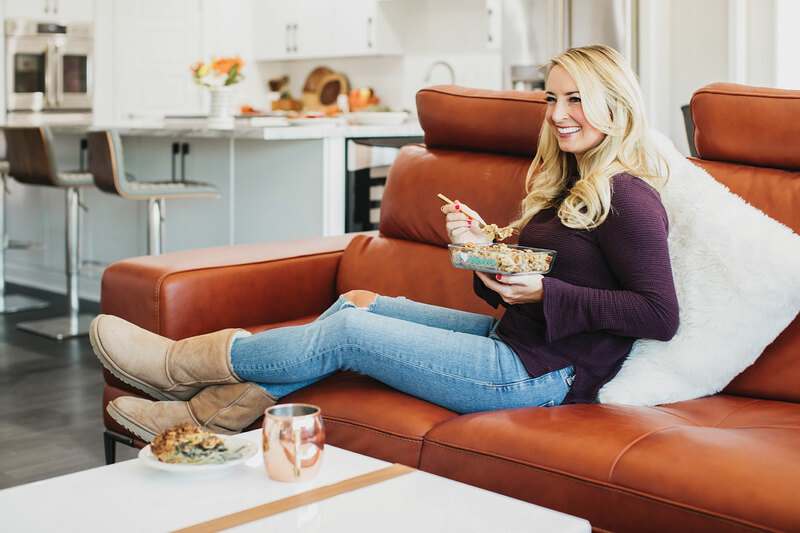 Food blogger Whitney Bond revamps your leftover Thanksgiving sweet potatoes into her delicious, Eastern European-inspired sweet potato pierogies recipe. Whitney let her boyfriend Kurt’s Pennsylvania upbringing and Eastern European roots inspire this mashed potato makeover with a Polish twist. 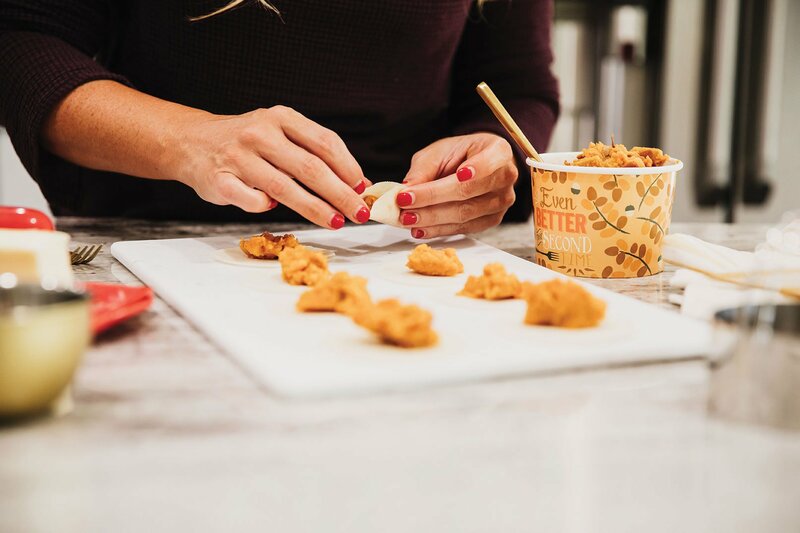 Potatoes get even sweeter wrapped in a wonton wrapper and browned in Whitney Bond’s Thanksgiving leftovers-friendly recipe. 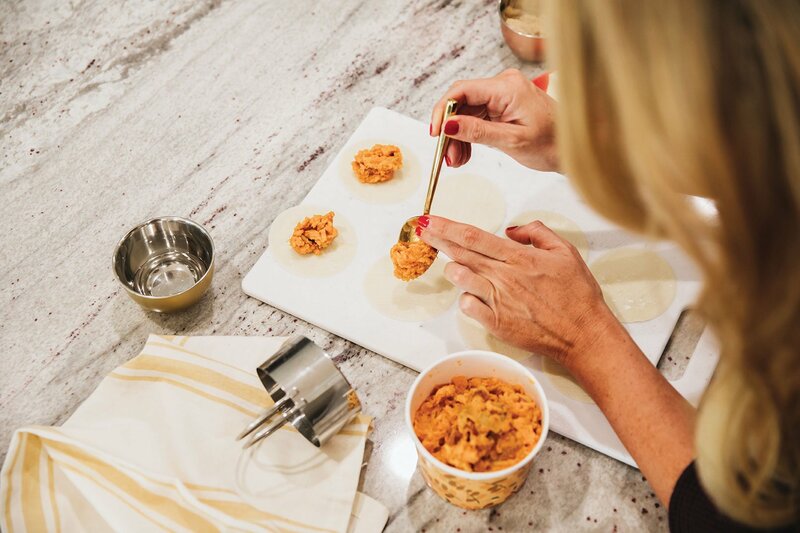 Use a 4-inch round pastry cutter to cut the wrappers into large circles. Brush the edges of each circle with water. Place a spoonful of mashed potatoes in the middle of each circle, fold over and press the edges together to seal. tip: to prevent mashed potatoes from drying out, add additional cream and butter when reusing. Add the butter to a large skillet and heat over medium. Once the butter is melted, add the onion and sauté 2-3 minutes, sprinkle with brown sugar and sauté for an additional 6-8 minutes. 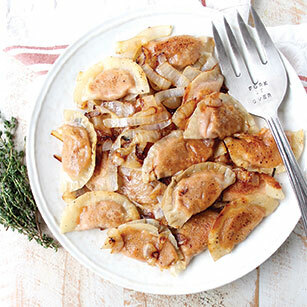 Add the pierogies to the skillet with the caramelized onions in batches, 5-6 at a time and brown lightly on each side for 3-4 minutes. 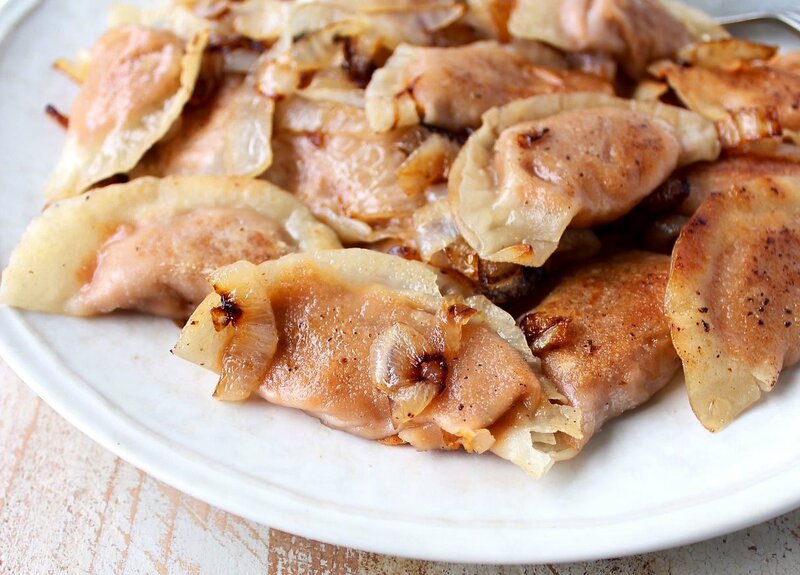 Serve the pierogies with the caramelized onions. 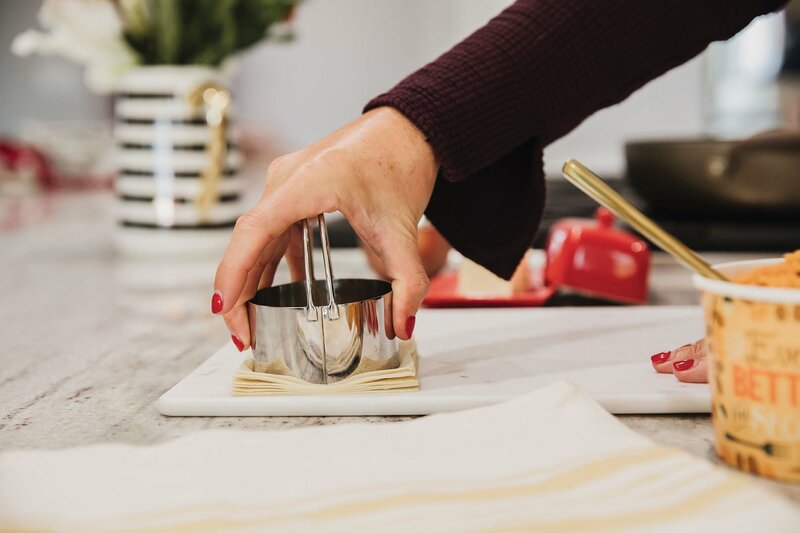 Read our full feature on Whitney Bond and find more leftovers recipes here.